Today everyone with an email id suffers from email overload on a daily basis. Research indicates that most recipients spent a few seconds to decide whether or not to open an email. A majority of their decisions are solely based on the email subject lines. This fact can be crucial for businesses and new companies. If you do not want your emails to be unnecessary clutter in someone’s inbox, a well-structured subject is necessary. Some of the most detailed investigation of email subject lines comes from Adestra, who followed up on their much-read 2013 study with a new version in 2015. 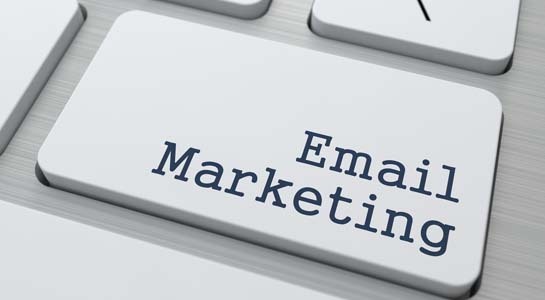 Their Subject Line Analysis Report looked at over 125,000 individual email campaigns, 3 billion attempted email sends, 400 million opens, and 55 million clicks. Try to put the persona name. This will play a major rule in getting your email to INBOX. Many email services take this as a major criteria to delivery the mail to INBOX. Eg: even if the email box may be like jdesai@gmail.com and the username is Jitendra if you mention the same in the subject line we have a good chance of INBOX delivery. Personalization can be a very effective way to build a relationship or enhance on one that is already in place. But keep in mind that if you are going further and using actual subscriber names in your subject line you need to make sure your data is clean enough to do it well. A sincere, “thank you” is always appreciated, but make sure it’s relevant to your message. More often than not this phrase belongs in transactional emails. Capitalising your subject line gives the impression that you’re shouting at your email’s recipients. Subject lines like ‘BUY NOW AND SAVE 20% !!! !’ come across as spam and your recipients won’t bother opening it – which is the best case scenario. Do this repeatedly and your subscribers will mark your emails as spam in no time. The same goes for using too many punctuations, especially exclamation points. However, using an exclamation point or question mark once or twice in every 50 emails you send is proven to increase open rates by 10 to 20 percent. Your subject line has a second at most to convince recipients to open the email. Writing lengthy subject lines filled with unnecessary words is a sure way to get recipients to ignore your emails. Marketers should always follow the maxim of ‘keep it short and simple’ while drafting email subjects. It should convey all the important information, while generating curiosity, to the recipient in 50 words or less. These are the 5 subject line tips to delivery in INBOX. Hope this helps you in getting more delivery to inbox.